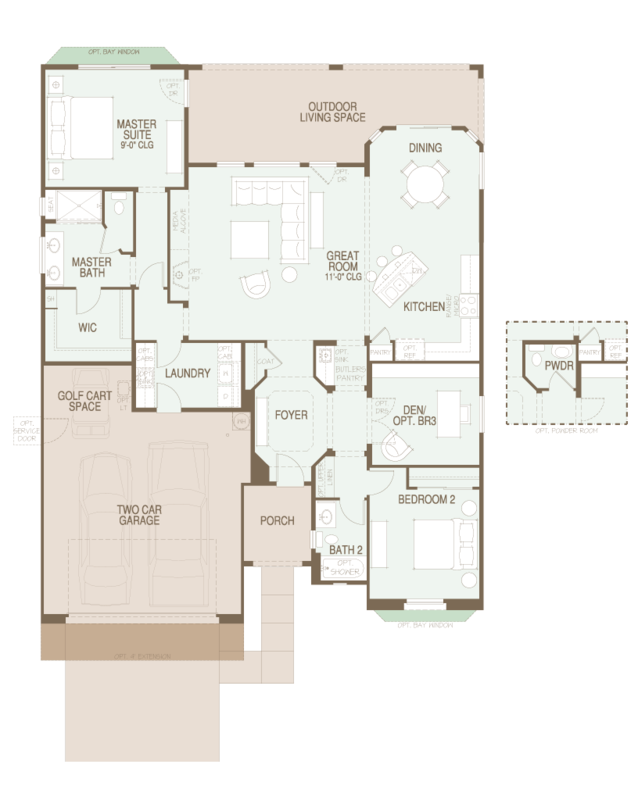 The SaddleBrooke Ranch Artesa Floor Plan is NO LONGER being built for New Construction homes. RESALE homes are AVAILABLE with the Artesa Floor Plan. The Artesa Floor Plan is in the Tradition Series of Homes at SaddleBrooke Ranch and has a great room floor plan with 1,865 Sq. Ft. of living space. The Den can also be made into a 3rd bedroom. If you are looking for a spacious retirement home or a larger winter retreat, the SaddleBrooke Ranch Artesa Floor Plan may be for you. If you are considering buying a home at SaddleBrooke Ranch take advantage of the 4-day/3-night guest stay and play. It will give you first-hand experience of what life is like at this Robson Resort Community. Thinking About Selling Your Home SaddleBrooke Ranch?